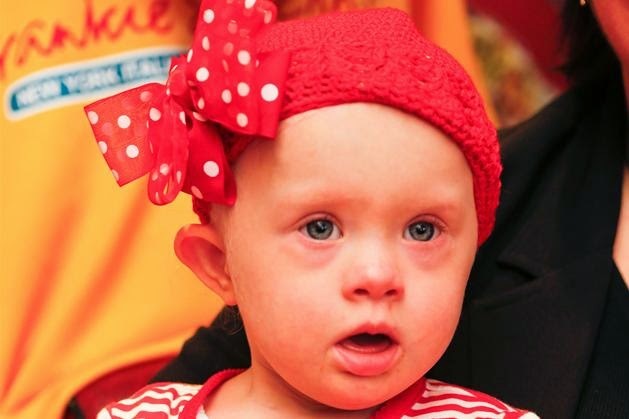 No parent should be alone when they find out their child has Down syndrome. But, right now, too many are. Doctor, check the baby. I think she has Down syndrome. For most every parent, the birth of their child is described as the happiest moment of their life. And it certainly was for us. But that lasted for all of 2 minutes and then her mom is wondering if the life she just gave birth to will end in a matter of years. It proceeded to list only the associated health conditions. That was all the information we received. No pictures of children with Down syndrome living in today’s world. Nothing about social supports, inclusive educational settings, or life experiences of individuals with Down syndrome. Nothing in writing other than that crappy, outdated green-and-white striped, perforated dot-matrix printout. A woman with Down’s Syndrome, who was caged under a small and dark space under the family house in Kampung Pasir Pekan Hulu here for more than 10 years, was rescued by the police and the Social Welfare Department today. Tumpat police chief Supt Zaharuddin Rasip said the woman, in her 30s, was rescued by authorities after being alerted by the Tumpat People’s Action Council and local press this afternoon. He said the woman was believed to have been locked up by family members after her parents died. The barn-sized enclosure had a small bed and the floor was covered with the woman’s faeces and urine. He said the woman was looked after by her brother who lived nearby. Zaharuddin said the police and Welfare Department would be investigating the matter, adding that the woman had been sent to the Tumpat district hospital for treatment. Find out more about supporting speech, language and reading development for children with Down syndrome at our free online events next week. 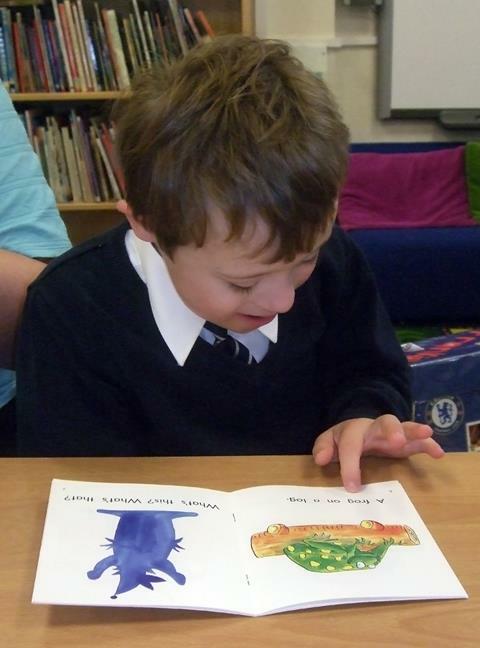 DSE's Reading and Language Intervention for Children with Down Syndrome (RLI) is an evidence-based programme designed to teach reading and language skills to children with Down syndrome. RLI incorporates best practice in structured activities delivered in fast-paced daily teaching sessions. It was evaluated in a randomised controlled trial and found to improve rates of progress compared to ordinary teaching. This event is aimed at parents and educators interested in learning more about RLI. It offers an introduction to the new teaching programme, describing how it was designed and evaluated, who it is for, what is involved in delivering it, and what resources are available to support its use. Thieves who raided a cafe and took thousands of pounds of stock and cash also stole a charity jar full of money collected for a little girl. Burglars struck at the Top Munch cafe in Station Road, Strood, during the early hours of Tuesday morning and stole about £5,000 plus about £180 for the charity. The cafe, which has been run by Medway boxer Brian Sanders for the past five years, was raising money for to send Winnie Martin, for treatment in America as she is suffering from Leukemia. Camps are a summer staple and at St. Scholastica a camp all about bikes just wrapped up. "Strider bikes are balance bikes without pedals," Physical Therapy Assistant Professor Karen Swanson said. The bike camp is for all kids, but there's a focus on helping kids with down syndrome. "A lot of people believe that they can never learn how to ride a bike," Swanson said. Swanson is working to shatter that stereotype. She said it's important for kids with down syndrome to be able to do the same things their siblings can do. There is a little girl named Annie Golden who died today. She was a beautiful soul with a smile that could light up a room. She died because she didn’t get a heart transplant. She died because she was not thought “worthy” enough to even be put on the list. Annie had Down syndrome. 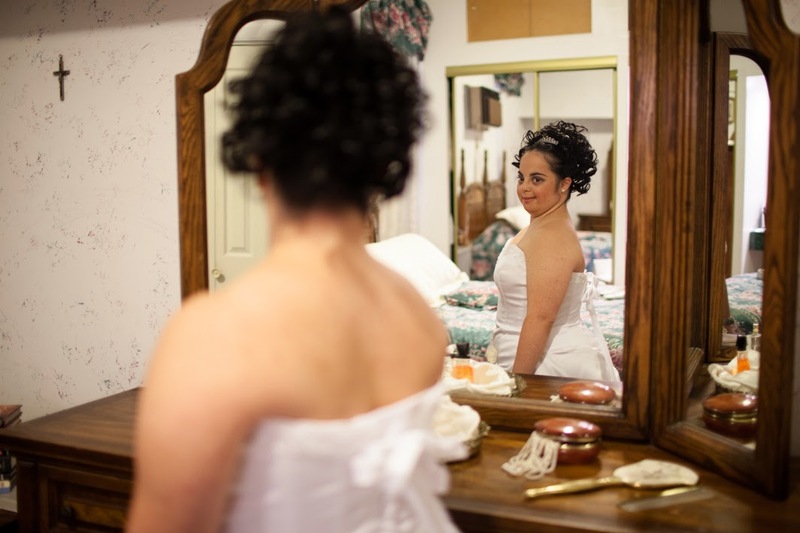 This cognitive disability would prevent her from even being put on the transplant list. My heart absolutely breaks for the family of this girl. You see, I have a little girl with Down syndrome. She turned 6 months old yesterday. My little girl’s name is Joy. She is the youngest of my four children. The last 6 months have changed my life in so many ways. My journey started as most parents who have any child with special needs. It started out with ignorance. Like most people, I had been around people with special needs, but I’d never been a parent of a child with special needs, nor did I have a close family member with special needs to know and love. I thought the group was local, but it is not. Though most members are Americans, the group has families from all over the world. It did not occur to me at first that this would be a lifelong group, but once it did I was floored that something like it hadn’t been created before and reminded that, for all its distractions, the Internet’s impact can be profoundly positive. I could not have imagined how close I would become with some of the other moms. Back in the old days, before Facebook, I never participated in chat rooms. Even today, I do not belong to many Facebook groups. Yet there are women I have only met through this group whom I regularly turn to for input. Recently, one of the moms I corresponded almost daily has largely dropped off due to a difficult pregnancy. I miss her as much as if I had a best friend living next door who moved to another state. I did not know how much I could cherish the children who give us reason to have a Facebook group nor how invested I would feel in their developmental milestones. Videos of crawling, walking, talking, straw-sipping babies have me cheering in my seat at my computer as if I was watching the Chicago Cubs win the World Series. I certainly did not expect my heart to be broken. In the past week, three babies have died. Baby Fiona died after complications from her second heart surgery. Baby Ryder was fine when he went to bed, had a fever and rash in the morning and was gone by two in the afternoon. And Baby Annie. Baby Annie was not given a heart transplant, for reasons that remain unclear, and her family—mother, father, and two older sisters—have watched her progressively become weaker and bluer. She died early this morning. Join NDSS and other national organizations today, June 12th for National Call-In Day to ask your Senators and Representative to cosponsor the Keeping All Students Safe Act (S. 2036/H.R. 1893) which aims to end the practice of using restraint and seclusion as punishment or convenience. Restraints and seclusion have killed, injured, and traumatized students in schools across the country. The Keeping All Students Safe Act, championed by Senators Tom Harkin (D-IA) and Chris Murphy (D-CT) and Representatives George Miller (D-CA) and Gregg Harper (R-MS), promotes a shift toward preventing problematic behavior through the use of de-escalation techniques, conflict management, and evidence-based positive behavioral interventions and supports. NDSS strongly supports this legislation. Please call your members of Congress tomorrow by clicking the TAKE ACTION button below, and ask your Senators and Represenative to cosponsor this important legislation! For more information about the Keeping All Students Safe Act, please visit our ​NDSS Restraints and Seclusion in Schools webpage. The email came from a 25-year-old in New York; we’ll call him Brian. He enclosed a picture of his older brother, who we’ll call Henry. Henry is 27, and lives in Chicago. He has Down syndrome. In the picture he is looking off to the side but he is smiling, and Darryl Sutter’s arm is around him. Darryl is smiling, too. He knew it wasn’t, because his father once read an article that mentioned Sutter’s third child, Christopher, who has Down syndrome. The father read the piece aloud with Henry. Henry wrote Sutter a letter. Sutter was the coach of the San Jose Sharks. Sutter wrote back by hand, on Sharks letterhead. When the Sharks came to Chicago, Brian and Henry and their father were invited to a morning skate, and Darryl met them in the stands. Not everyone knew how to speak to Henry. Darryl did. They exchanged more letters, over time. A letter Sutter wrote is still framed on Henry’s wall in Chicago, along with sticks, jerseys, gear from San Jose and Calgary and L.A. Henry wears a Kings jersey after every win. CEDAR CITY – The strident sounds of shotgun blasts filled the air Saturday as a diverse group of athletes competed in the Utah Summer Games trap shooting event. Shooters ranging in age from 8 to 84 years gathered at the Cedar City trap club and spent the day wielding their weapons in search of a good time and a bit of USG glory. Some were seasoned shooters, some were new to the sport, but among them stood one young participant who wasn’t there just to win a spot for himself on the podium. Connor McFadden, 11, was out there competing for his older brother Johnny, who has Down Syndrome and is unable to shoot. If Connor wins a medal, Johnny takes his spot on the podium and gets the experience of having the crowd cheering him on. It’s a win-win situation for both Connor and Johnny, their father James McFadden said, and looking out for their brother is something Johnny’s siblings have always done. See and Learn Saying Words is designed to support the development of clear speech for children with Down syndrome and other children with similar speech difficulties. See and Learn Saying Words is designed to help children to say words and improve the accuracy of their word productions through simple activities that encourage the imitation and repetition of one- and two-syllable words. It includes eight sets of words, each starting with a speech sound that usually develops early in typical development. See and Learn Saying Words can help parents, teachers and therapists to support the regular speech practice that research evidence suggests is necessary to develop clearer speech. 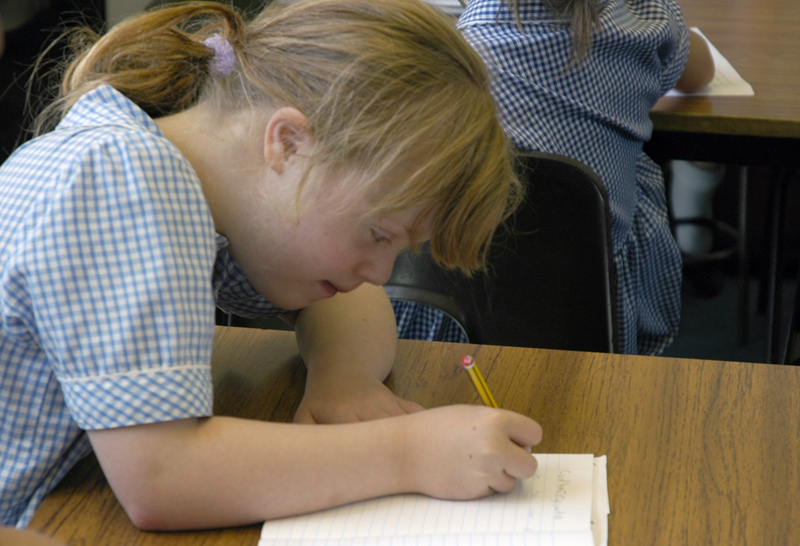 It is part of See and Learn Speech - an evidence-based teaching scheme developed by Down Syndrome Education International – a widely recognised leader in research and effective interventions for children with Down syndrome. 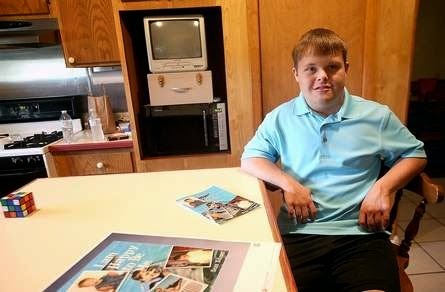 Living with Down syndrome isn't easy, but 21-year-old Sean Adams is finding happiness through a positive outlook and a supportive family. Down syndrome is a condition that someone is born with that causes below average mental abilities and problems in physical development. Taking inspiration from the deaf and blind Helen Keller, who even with her disabilities was able to write 12 books during her lifetime, Sean says he too wants to give a voice to the voiceless. “Some kids with disabilities, they don't speak up, and they need a voice. I write to be a voice,” he said. Sean began writing the book as a freshman at South Lafourche High School. It began slowly at first. But finally with hard work and the guidance of his godmother, who is also a published author, Sean was able to complete the book.